Saint Buddha is the founder of Buddhism. Buddha is also known as Siddhartha, Gautama Buddha etc. His life traces a man’s spiritual journey towards enlightenment. This sculpture is made of red sand stone. 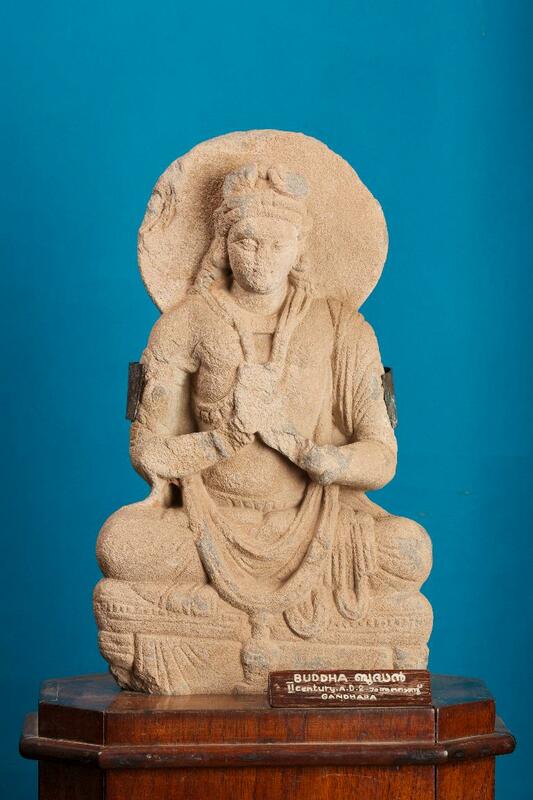 This is the sculpture of Buddha in seated posture with nimbus behind. This was presented to the museum by the Dewan of Travancore.